A sequel to the turn-based RPG from Harebrained Schemes, based on a table-top role-playing game created in 1989 by FASA Corporation. The game is set in a world of future, combining cyberpunk with fantasy elements. 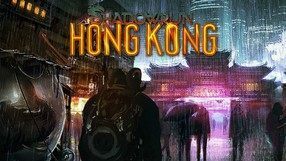 Hong Kong of the year 2056 is a city known for tranquility and prosperity, although its outskirts still remain among the most dangerous places on earth. 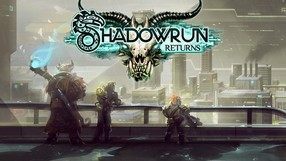 The game allows you to become the leader of a group of so-called shadowrunners, men and women who will take up any job, for the right price. Your main goal is to stop a dark, mysterious power that infects everything it comes into contact with. In terms of gameplay mechanics, the game is an isometric RPG with turn-based combat system, featuring complex classes and character progression system. As compared with the first game in the series, this one features noticeably improved graphics and many user interface enhancements. Furthermore, Matrix - the cyberspace that allows player to manipulate the real world - and its functionality have been thoroughly overhauled. 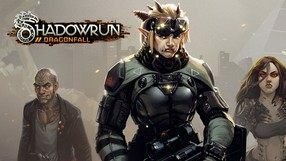 Shadowrun: Dragonfall is an expansion to the fantasy cyberpunk cRPG Shadowrun Returns. The campaign takes place in Berlin, and during the game you can use a wide range of new equipment and face new enemies. A tactical turn-based role-playing game based on a popular tabletop RPG. The production is set in 2054, in the world blending cyberpunk with fantasy elements. You lead a highly-trained team of mercenaries, who accept extremely dangerous tasks in order to earn money.